Our Take: New Jersey has achieved a record-low rate of uninsured residents under the Affordable Care Act. That’s good for healthcare consumers – providing them access to regular healthcare, including preventative services – and it makes good sense for a healthcare system focused on high-value, efficient care. 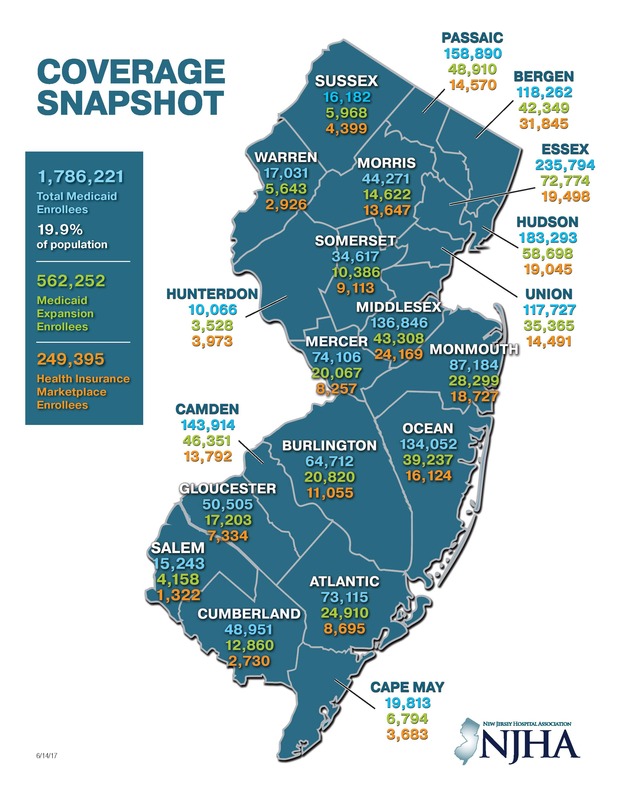 Despite shifting political currents in Washington, coverage for the 800,000 New Jersey residents reliant on the ACA is paramount, and New Jersey’s healthcare providers need stable, reliable funding to protect their ability to provide quality, accessible healthcare. In addition, there are 1.8 million New Jersey residents who rely on Medicaid for their healthcare. In some New Jersey counties, as much as 30 percent of the population – comprised mostly of seniors, the disabled and children – are covered under Medicaid. We must maintain this coverage for those who need it. Twenty-two million Americans and 800,000 New Jersey residents are covered by the Affordable Care Act. Their healthcare, and the viability of hospitals and other healthcare providers, is at stake if the Administration and Congress continue to chip away at these vital coverage protections. Changing the current federal-state Medicaid partnership to a program that freezes the Medicaid expansion population and gives states per-capita capped funds to operate the Medicaid program would force a spike in the number of uninsured in New Jersey. Using a block grant to fund the Medicaid population is an even more dangerous approach, as block grants could place children and seniors fighting for the same limited resources. Because of New Jersey's unique charity care law, the cost shift to states would jeopardize the state's healthcare providers that have already sustained hundreds of millions in state funding cuts in the years since the ACA was enacted. True coverage – and not just access to safety net services – is essential for New Jersey residents’ health, and for an efficient healthcare system. The ACA is Working in N.J.
Infographic, "Healthcare coverage is important to New Jerseyans"